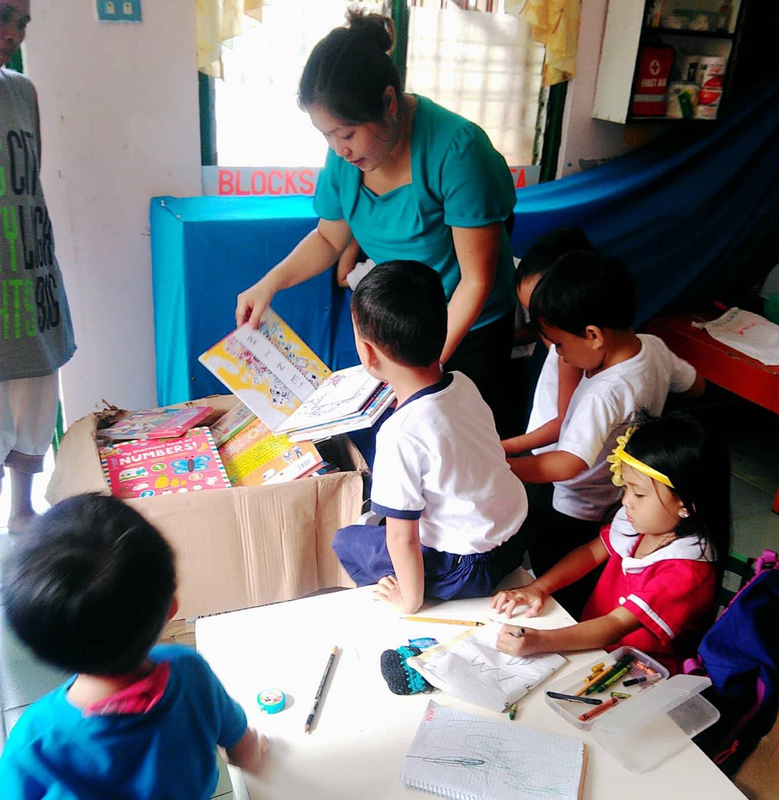 Over 100,000 children from war-torn Marawi City as well as various barangays of Samar, Negros Oriental, Surigao City, Surigao del Norte, Leyte, North Cotabato, Davao del Norte and Davao City have received over 30,000 books from Globe Telecom – a move aimed to promote literacy and help them regain a sense of normalcy. Students from Tambacan Elementary School, Iligan City, Lanao del Norte receive books from Globe Telecom. Photo from Gawad Kalinga. Various humanitarian organizations have estimated that 50,000-80,000 children from Marawi are still recovering from the trauma caused by the terrorist siege. After months of conflict in the war-torn city, Globe commits to provide young Maranaos the needed psychosocial support by filling child-friendly spaces with fun and engaging books. UNICEF has reported that the poorest and most disadvantaged children do not even have access to the necessary educational materials for academic development. These books are seen to remediate children with their learning delinquencies caused by the poverty and insecurity they face as a result of living in far-flung areas. From interactive storybooks to popular young adult serials, these books will be distributed to different evacuation centers, day care centers, and community libraries across barangays in Visayas and Mindanao. Globe has also tapped Gawad Kalinga to organize storytelling sessions to encourage the youth to read and learn from the educational materials. As the government focuses on relief, reconstruction and rehabilitation, Globe continues to provide educational assistance for the affected communities. Globe early this year turned over a total of 20 bikes made by a total of 80 volunteers under Build-A-Bike program. These bikes were donated to children in Marawi aged three to six years old. Globe had partnered with the Philippine Air Force and the Marawi Task Force to have these bikes delivered from Manila to Laguindingan Airport in Mindanao. These initiatives are banked on two United Nations Sustainable Development Goals which promotes Quality Education and Reduced Inequalities. As leader of digital lifestyle, Globe is anchoring its key initiatives on its four-point program: Care for the Environment, Care for our People, Positive Societal Impact, and Digital Nation.